If you’ve ever lost an important document or video from your iMac or MacBook Air, you know how harrowing it can be. If it’s an official document from work, panic might even start to set in. I mean, it’s not like you can go to your boss on Monday and tell her that your MacBook ate your homework, right? 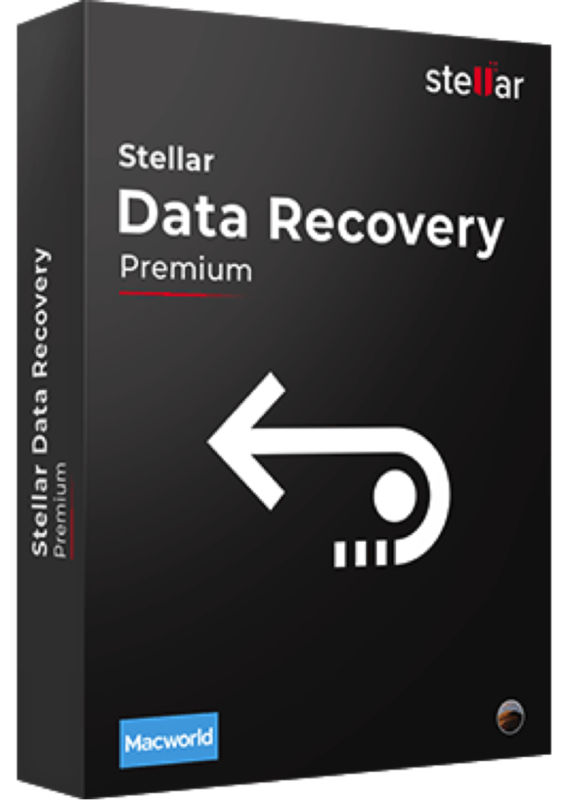 But jokes aside, data recovery is a serious business, and today we’ll be looking at a premium data recovery software utility updated for macOS Mojave 10.14: Stellar Data Recovery Premium for Mac. In the domain of data recovery, Stellar is a name that stands out for its dedication to customer satisfaction. I’ve used their data recovery software before this, and although I did stumble across a few functionality issues, the UI and UX were always above par. That torch is amply carried now by the new made-over version that sports an even smoother skin and highly intuitive layout of the menu. As a matter of fact, if you check out their Stellar Data Recovery for iPhone® software, you’ll notice the same kind of feel and flow when using the application. If you have an iPhone, this is definitely a must-have utility. The software has all the basic features you’d expect from a solid data recovery utility. Scan time is pretty fast, and even a deep scan of my hard drive was completed quicker than I expected. The deep scan time tracker in the screenshot below shows nearly 9 hours but it actually took less time than that. I’m assuming that’s because it’s a dynamic indicator that displays remaining time in real-time. And it’s even faster if you can define the file types to be scanned in the deep scan, which can help shave off even more time from the process. The Preview function lets you see what files can be recovered, and that’s very useful when trying to recover lost photos. It’s also easy to toggle Preview on an off right from the main interface, which is definitely useful if you only want to focus on file names. The recovery process is extremely simple. All you do is finalize your selected files in your list, Preview certain files to see if that’s what you were looking for, and hit Recover. 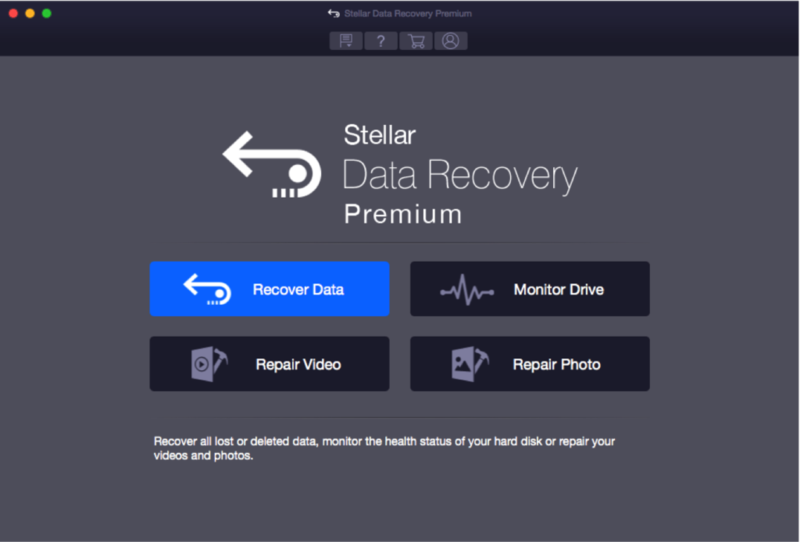 Usability is obviously in great focus, and I like the fact that the development team behind Stellar Data Recovery Premium for Mac put in the effort to make this simple enough for new users and functional enough for a more experienced person. You don’t really need any kind of expertise when using this software, but you have enough tweak-able options to make it suitable for any level of computer knowledge. As good as this software is for data recovery, the real Easter eggs are the new Drive Monitor utility and the Video and Photo repair tools. That was new, so I took those out for a test drive as well. The Drive Monitor is like a health dashboard for your memory devices. 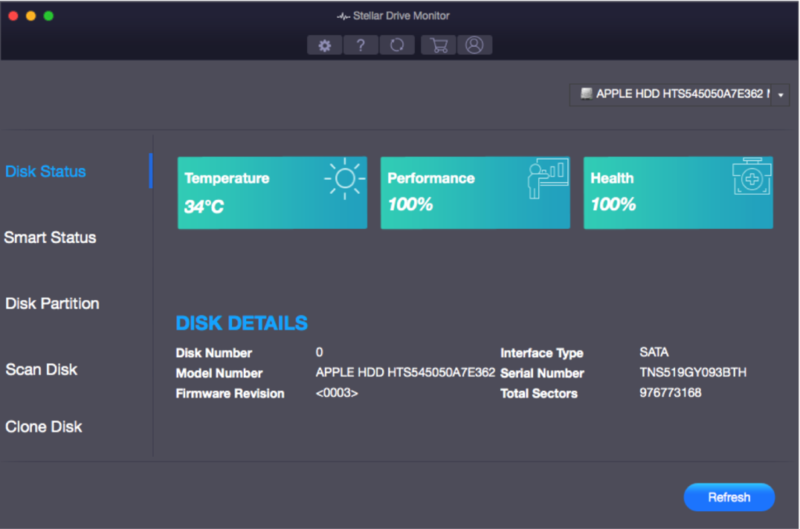 It shows you what temperature your system is running at, your disk partition details and even scans your entire drive for anomalies. It’s definitely a good addition to the software, as are the repair tools for videos and photos. When I tried to navigate from the Drive Monitor utility to the Video Repair tool, however, I realized that you have to exit the application and wait for the main interface to appear. It would have been more convenient to have a link to directly launch another app. Not a big issue but definitely something the team might be encouraged to look into, considering that they’re pretty big on user experience. As far as the video repair tool goes, it’s fairly capable. I was able to recover a damaged video from an old camcorder I owned, and it worked fine after the repair. I didn’t test it extensively, but the file that I did test wasn’t playing prior to the repair. The photo tool also has a simple interface but does a great job of recovering damaged JPGs. Image files are a little finicky when it comes to transferring them, so if you have damaged photos as a result of importing them to your PC, this is a good software to get them back in viewable shape. In my honest opinion, this software gets extra points for the newly added bells and whistles, but at the end of the day it’s still a data recovery software for Mac, and that’s what I’m grading it on. From that standpoint, Stellar Data Recovery Premium for Mac gets a solid 9 out of 10 for its data recovery capability. I did find a few other files when I used a different data recovery tool, but to be fair those were really obscure files from an app that was deleted a while ago. Although I still consider the extras to be bells and whistles, I found that the photo and video repair tools fit in well with the data recovery process. And the Drive Monitor has a drive cloning feature that’s essential to data recovery if your drive is damaged in any way, which makes it relevant to this software. I only hope that the company doesn’t decide to add random tools just to make the software appeal to a larger audience. I’ve seen that done with a lot of other popular software, so fingers crossed that Stellar doesn’t go down that road. With their focus on UX, though, I doubt that will happen. I guess the only thing that’s really missing is better navigation between the apps in this package. 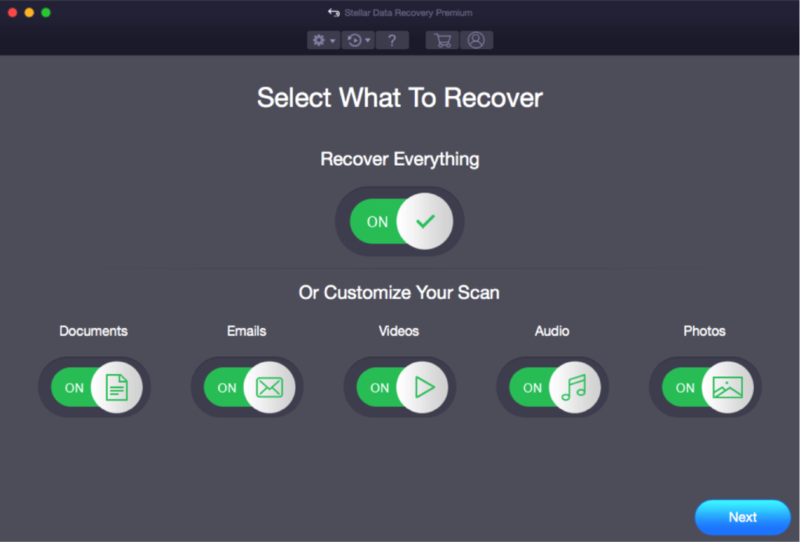 Other than that, I would have to say that this is definitely one of the best data recovery apps for Mac that I’ve come across in a while. It is fast yet thorough, offers a painless data recovery experience, and the extra tools are highly relevant to the core purpose of the main software. In addition, the company offers you a well trained customer service team and comprehensive technical support. 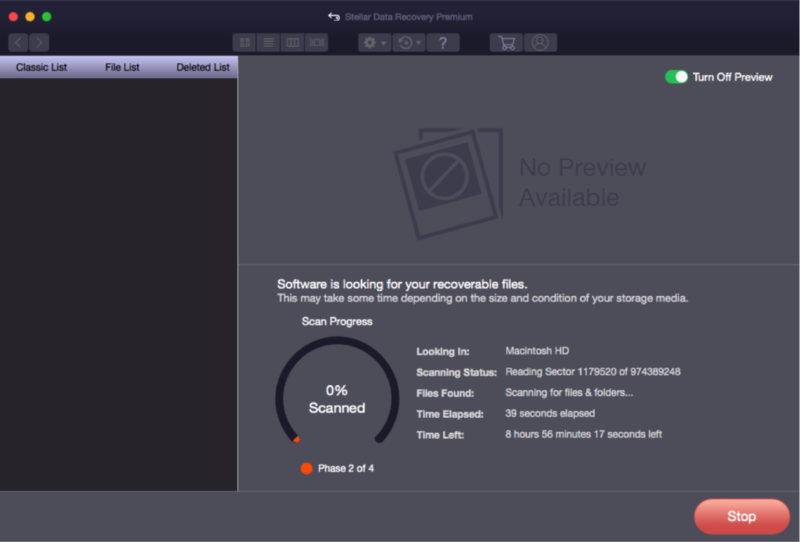 In closing, I’d like to say that this software is definitely worth the investment if you’re looking for a serious data recovery tool for serious Mac users. You no longer have to worry about accidentally deleted files, corrupt videos, missing documents and vanishing data as long as you keep Stellar Data Recovery Premium for Mac handy. You can download a trial version and test it out for yourself before you activate your license. It won’t let you recover all your files, but it gives you a good feel for the software and how easy it is to use. The company has over 25 years of experience with data recovery software, so you’re in good hands.